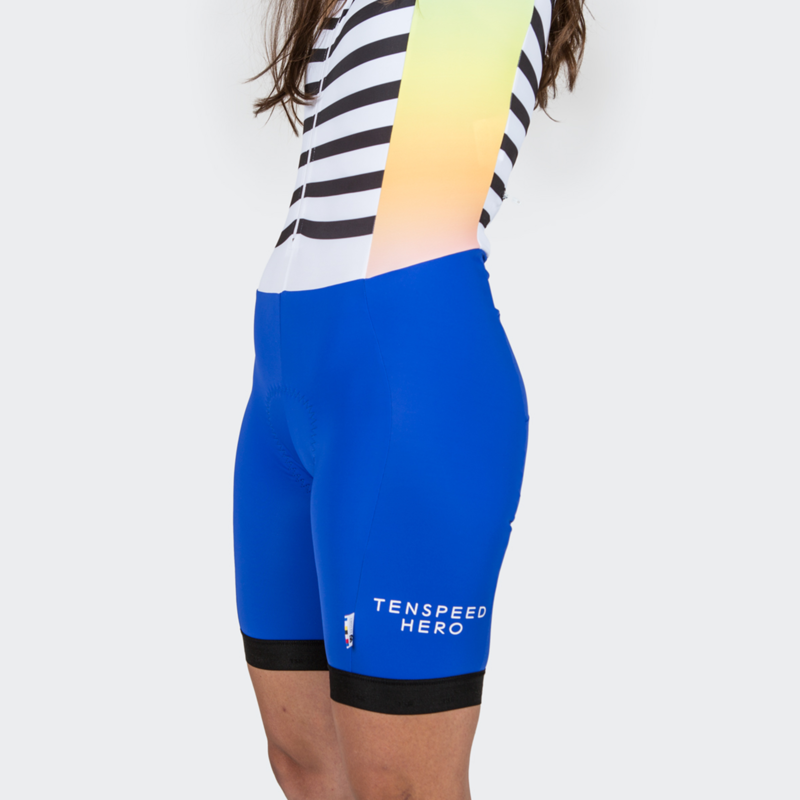 DesignApplause | sherbet skin suit by lauren ayers for tenspeed hero. In Chicago, there is an 89 year old bright pink building that is home to the legendary Rainbow Cone. Serving up ice cream all summer long, this classic establishment is known for its eponymous multi-layered cone that comes heaped with layers of Chocolate, Strawberry, Palmer House, Pistachio, and Orange Sherbert ice creams. 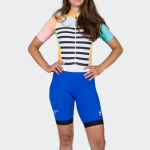 In the summer, Heros love to take the trek to this pink bastion of deliciousness, enjoying a refreshing and timeless treat after a long and sweaty ride. But in the winter, sadly enough, Rainbow Cone shutters its doors and we Heros are left with nothing but pints of freezer-burned Ben & Jerrys to munch on (or try to avoid munching on). Now, however, TSH has decided to provide our own multi-colored refreshment.. 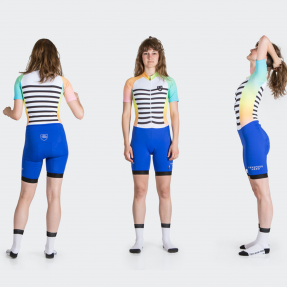 Taking form in the Cyclocross Sherbert Skinsuit, this mission to find respite from wintry grays is inspired by the lengthy summer days we’ve spent watching streams of melted ice cream form colorful puddles on sidewalks and streets. 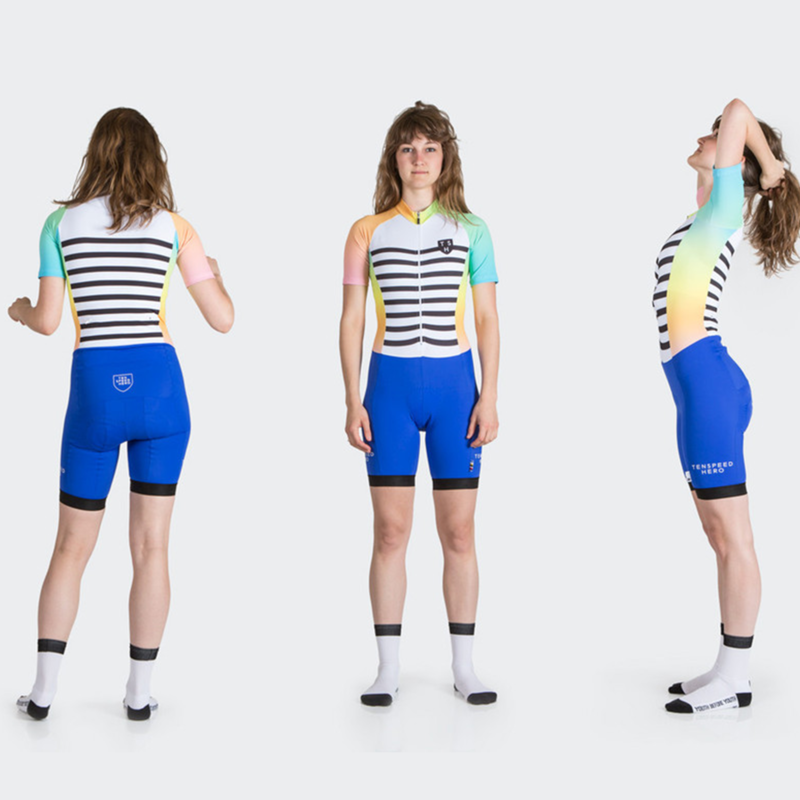 From front and back Sailor Striping to side panel, sleeve, and collar Sherbet coloring, this Skinsuit will bring color and comfort to every ride. 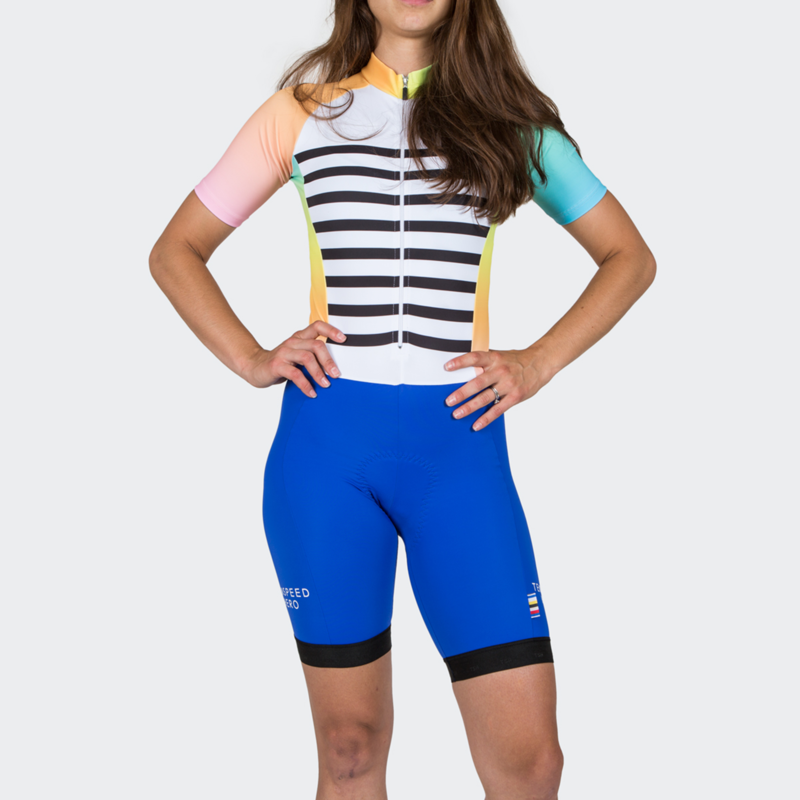 To finish it all off, there’s a zippered pocket on the back of the suit to keep your keys (or gift cards to ice cream stores) safe while riding.